If you live in Apex you know in the Carolinas a summer day without air conditioning can be a horrible experience. But your AC system can breakdown just like any other piece of machinery and fail to cool your home. That’s why the certified team at Wayne Bryant Heating and Cooling is dedicated to helping fix our customers’ air conditioning units and restoring their home to comfort. 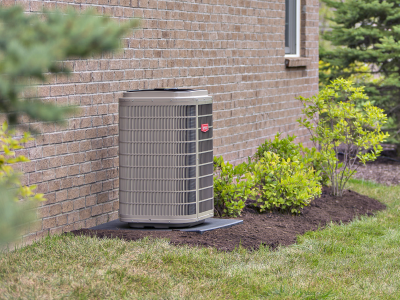 Our technicians have years of experience repairing all makes, models and types of air conditioners in Apex, NC and the surrounding communities.We combine the newest technologies with years of on the job experience to quickly diagnose your air conditioning unit’s problem. Our team will carefully and comprehensively diagnose your system and do our best to present you with multiple repair or replacement options. As a family-owned company, we do our best to treat our customers like they are family members as well. We do this by offering fair pricing, upfront explanations and solutions for problems, and being on call 24/7. This can be especially important if your AC goes out during a summer heat wave. If you suspect that your air conditioning unit is not working properly, please don’t hesitate to contact us ASAP. We are available via call, text or email and will always do our best to answer or respond promptly, including nights and weekends. Wayne Bryant Heating and Cooling is proud to serve Apex, Buies Creek, Clayton, Fuquay-Varina, Garner, Holly Springs, Willow Spring, Angier, Lillington and the surrounding areas.